Blondie and Brownie: Get Milkmade *Without* The Subscription! 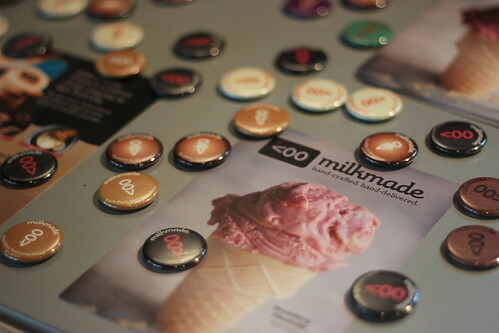 Some of you might know about Milkmade Ice Cream, a subscription-based ice cream delivery. 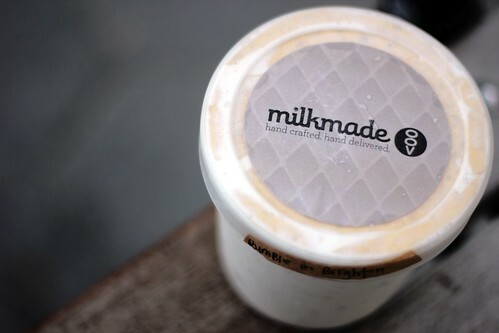 You pay $50 for a pint of ice cream delivered to your door once a month for three months. Yes, it's expensive! But it's so good, like so soooooooo good. Apparently no one got the message that I would like this as a birthday gift, but luckily for me (and us!) for a limited time only, us regular peoples can get Milkmade on the regular. If you haven't been to Story on 10th Avenue, I highly suggest stopping by. It's a boutique retail space with a regularly rotating theme, like a magazine. Each theme lasts for around two months; it was Love, then Color, and is currently New York. It's filled with little New York-related things, but not in a touristy way. The co-curator is Cool Hunting, so you know it's filled with cool stuff like travel goods from Flight 001, great jewelry pieces, and food including pints of Milkmade! When I went last week, they had Rockaway Road and Rumble in Brighton. I sampled both, checked out Story (I might have bought these), and decided on which flavor to indulge with. Rumble in Brighton involves rum ice cream with chocolate babka pieces. 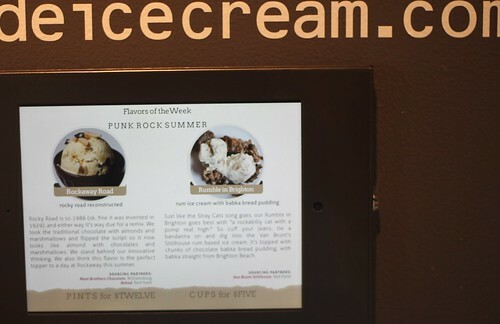 #win It's $10 a pint, which is still really expensive, but cheaper than the regular service, plus it's gourmet, high-quality (limited edition) ice cream! This Story ends August 19th, so if you want to try a pint yourself, you better head on down there. I won't tell if you eat a whole pint by yourself in the middle of a hot afternoon, people-watching in the park.